Wired and Ars Technica associate publisher Keith Grossman is headed over to Bloomberg, where he’ll take on the newly created title of publisher of Bloomberg Digital and digital products. Bloomberg Media Group has been undergoing a major strategy overhaul under CEO Justin Smith, who left his CEO position at Atlantic Media to join Bloomberg just under a year ago. Last March, Smith unveiled a plan to expand the company’s consumer media offerings, which includes the launch of new digital channels like Bloomberg Politics, which will be overseen by top political writers (and Game Change co-authors) Mark Halperin and John Heilemann, and a luxury lifestyle product led by Vanity Fair’s Chris Rovzar. 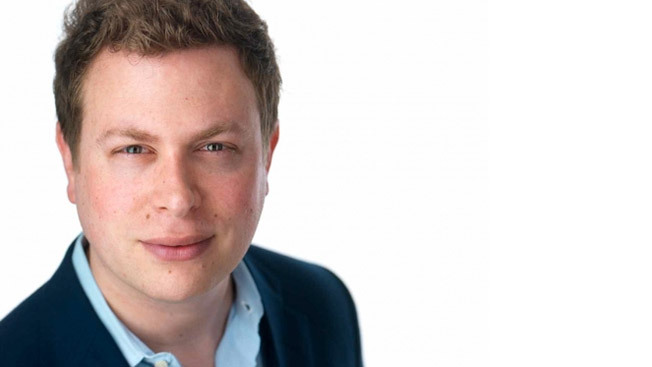 In his new role, Grossman will help lead further digital product development, oversee digital ad sales and build new programmatic and automated ad solutions, according to the company. “If you look at Justin's view of where he wants to take the company, one of the areas he wants us to focus on is expanding the digital front and scaling that across different platforms,” said Grossman, who added that his experience at consumer-facing brands like Wired should be an advantage in growing Bloomberg’s consumer audience. While at Ars Technica, Grossman helped launch The Accelerator, a tool that helped advertising partners drive online ad impressions by using an algorithm to predict when certain stories were about to go viral. Grossman now hopes to develop similar technology at Bloomberg. “Offerings like that are what I want to start thinking about for monetizing Bloomberg's products,” he said. Grossman first joined Wired in 2002 as an account manager and was eventually promoted to associate publisher of both Wired and Ars Technica four years ago. During that time, Grossman co-authored the original business model for Wired’s tablet edition (which was later adopted across the company) and later helped launch Ars Techica’s The Accelerator, a logarithm-driven dashboard that predicted when certain stories were about to go viral, thereby allowing advertising partners to take advantage of organic traffic spikes. “Offerings like that are what I want to start thinking about for monetizing Bloomberg's products,” he said. Grossman is the latest in a string of high-profile executive hires at Bloomberg, including IPG Mediabrands’ Jacki Kelley, who was named COO of the Bloomberg Media Group, and former Time Inc. CRO Paul Caine, who took the same title at Bloomberg earlier this month. Grossman will begin in his new role on July 14, reporting to Caine.